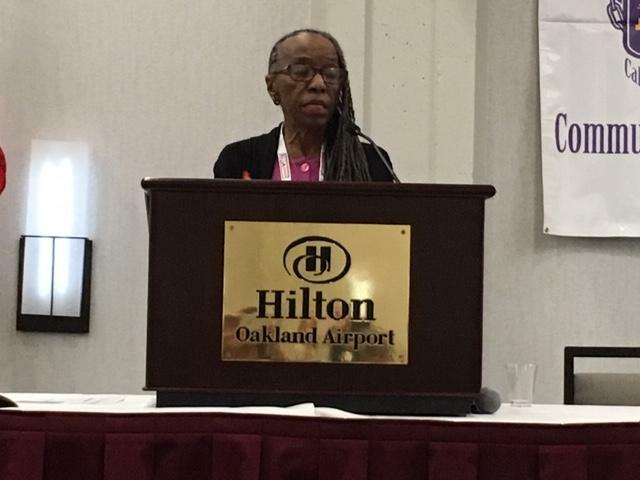 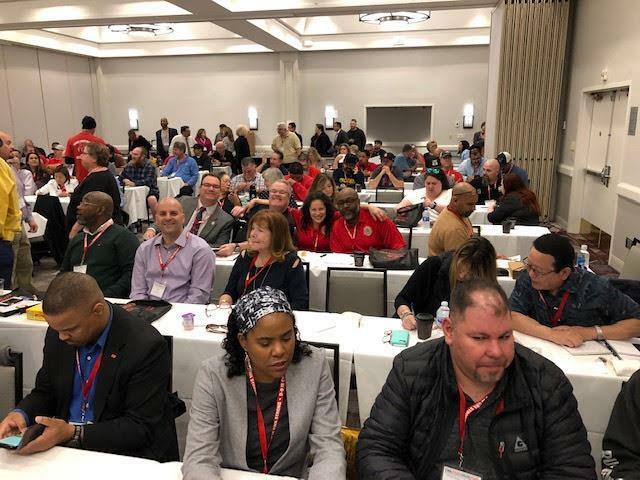 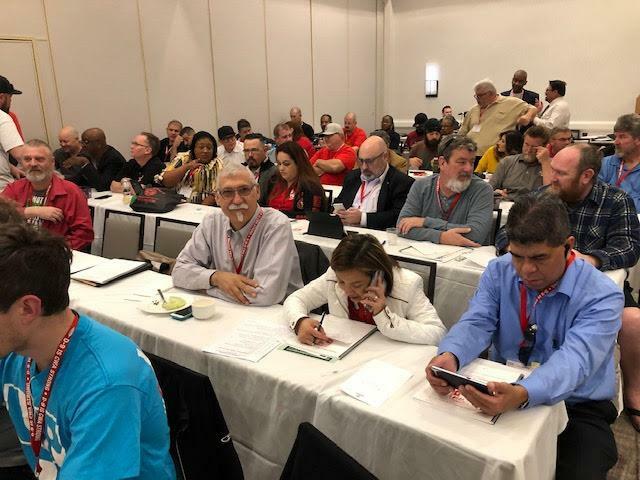 District 9 Leadership Conference in Oakland, California. 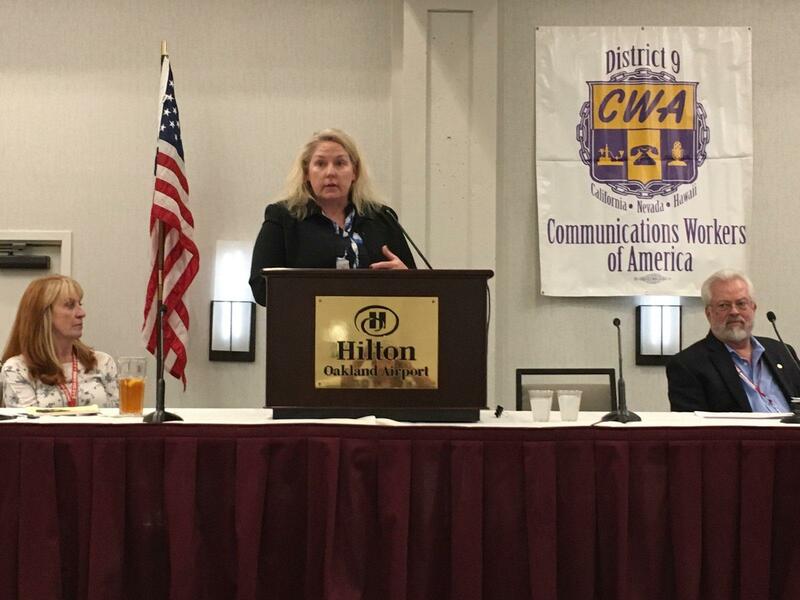 Ellen West, Assistant to the Vice President, Welcome speech. 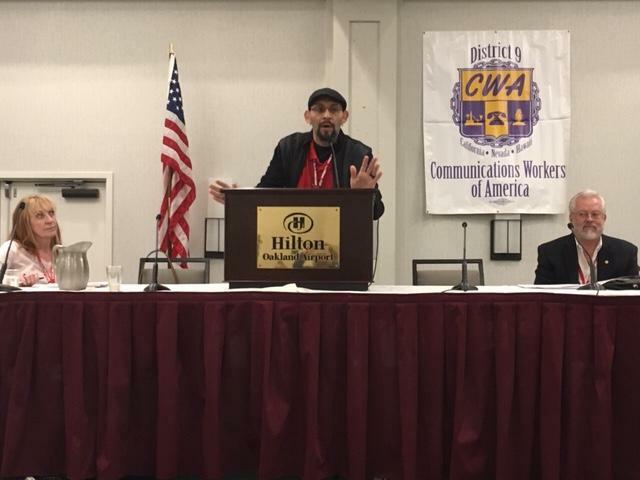 Coby Rehm, President CWA Local 9415. 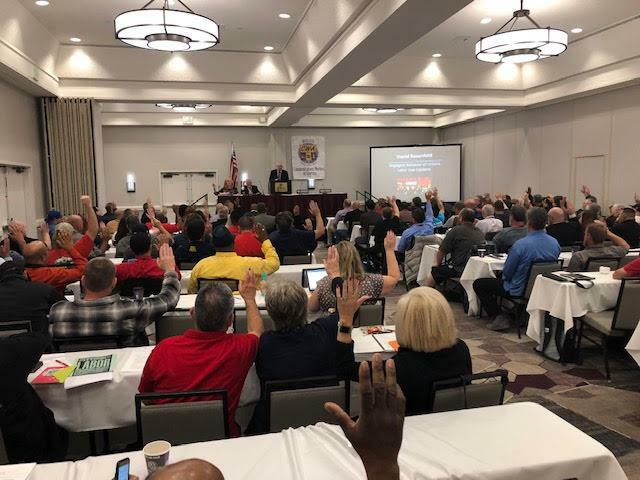 David Rosenfeld, Esq., leads the Oath to Organize. 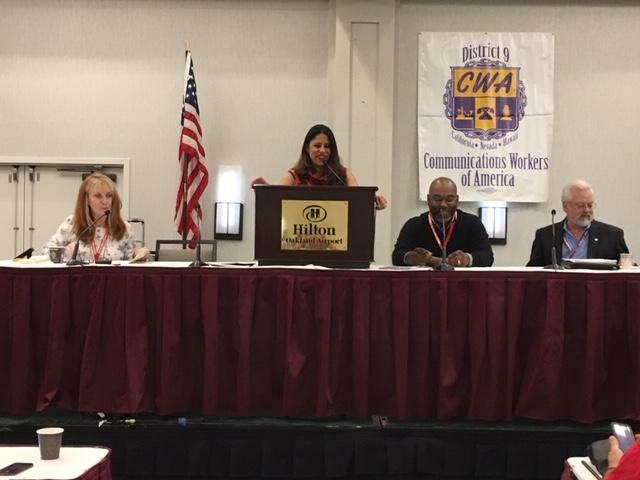 Monica Alvarado, CWA Local 9423 Secretary Treasurer giving the Defense Fund Oversight Committee Report. 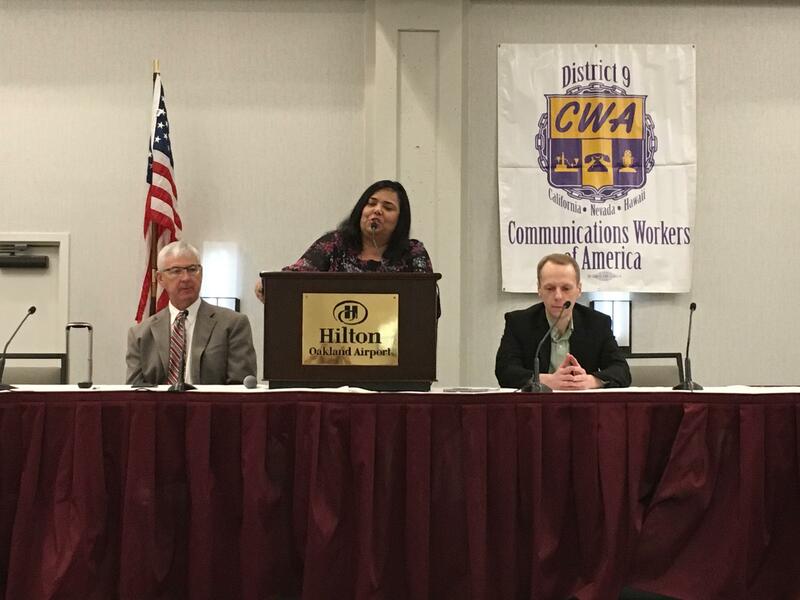 Union Attorney Caren Sencer Speaks on Bullying and Harassment in the Workplace. 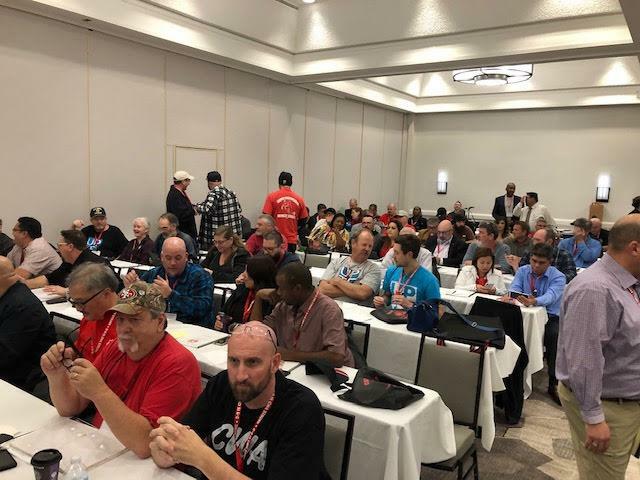 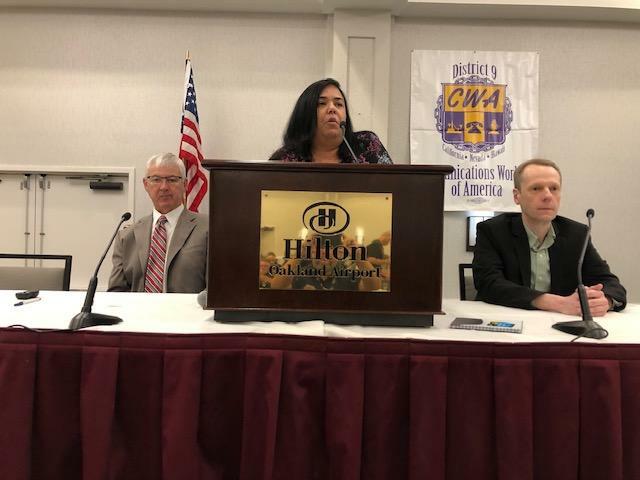 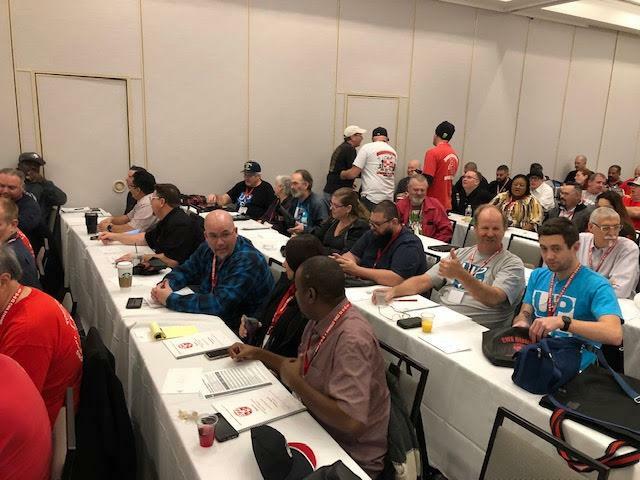 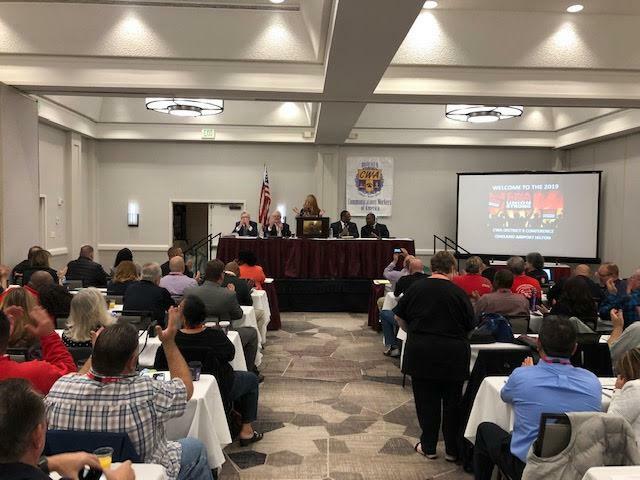 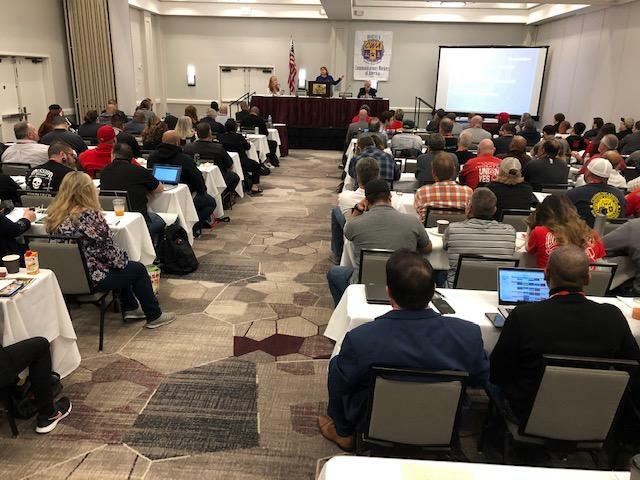 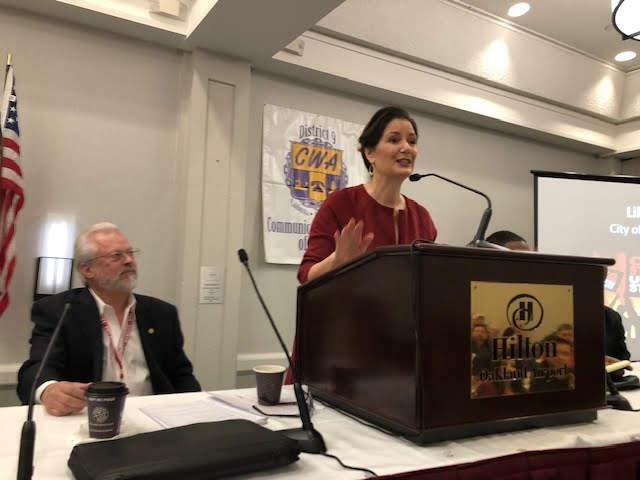 Liz Sorenson, CWA Area/Political Director, introduces Bryan Blum Political Director, California Labor Federation and Rusty McAllister, Executive Secretary Treasurer, Nevada State AFL-CIO. 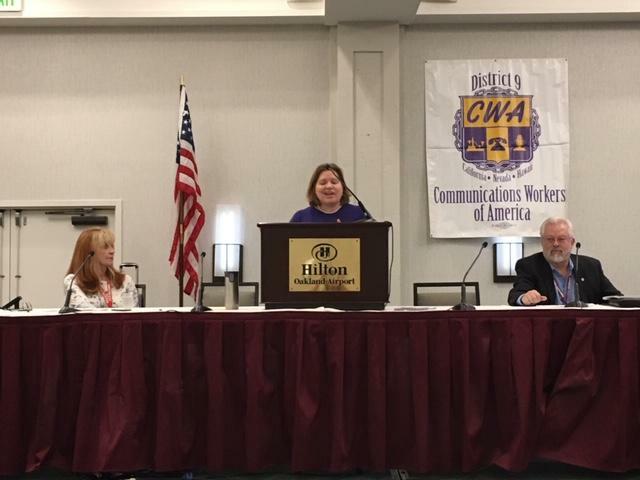 Liz Sorenson, CWA Area/Political Director, District 9. 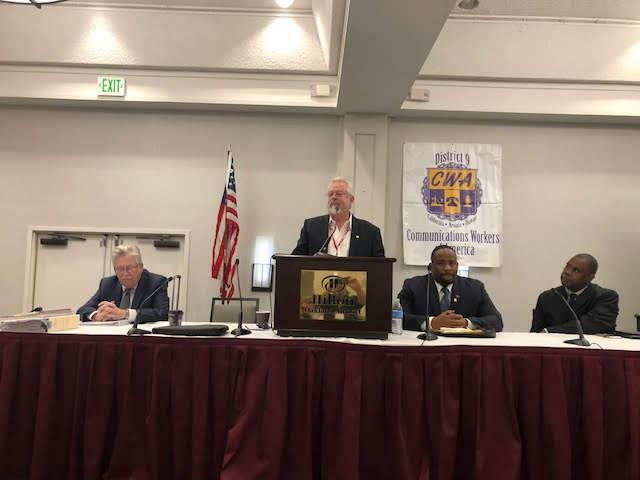 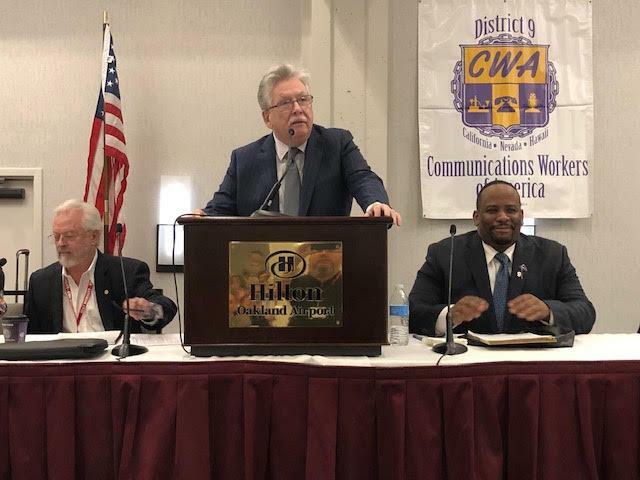 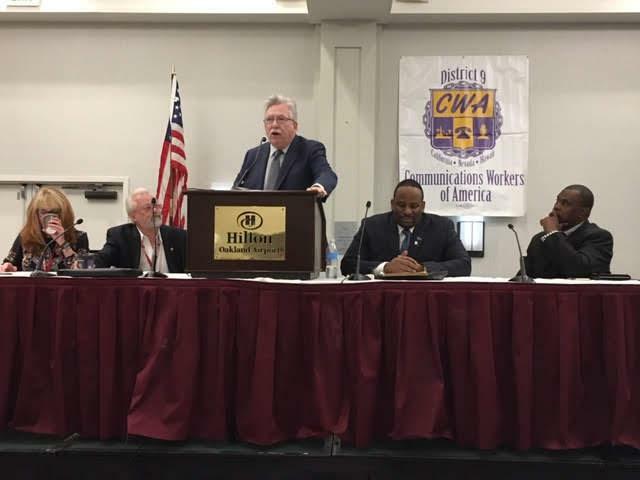 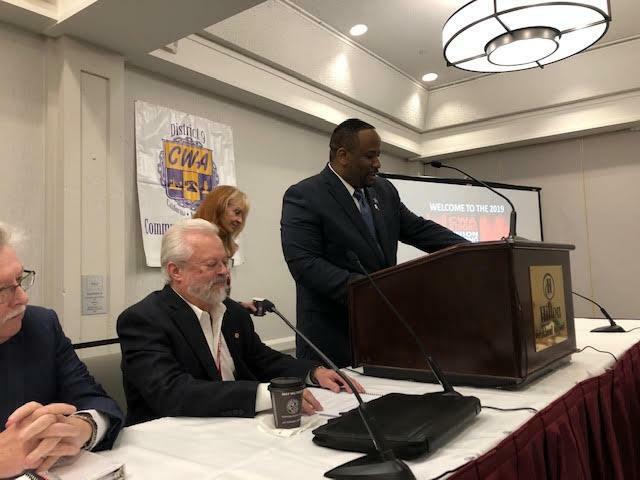 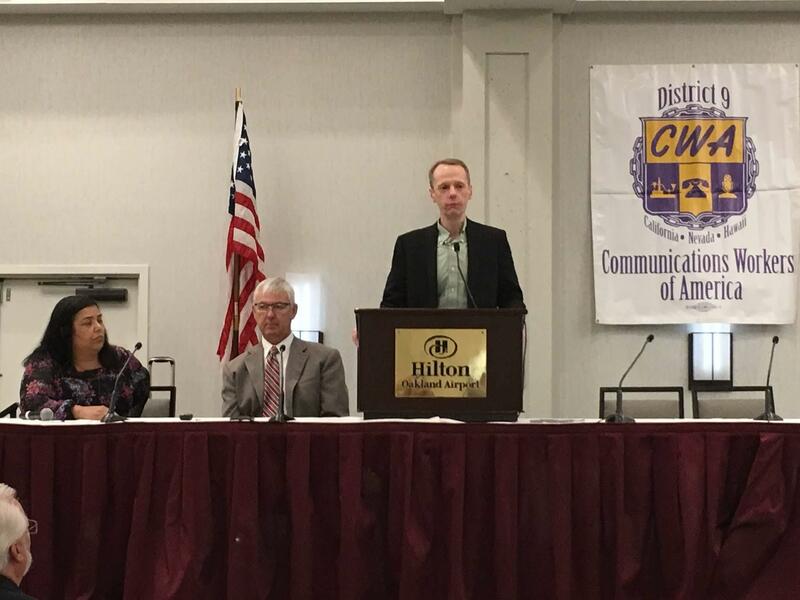 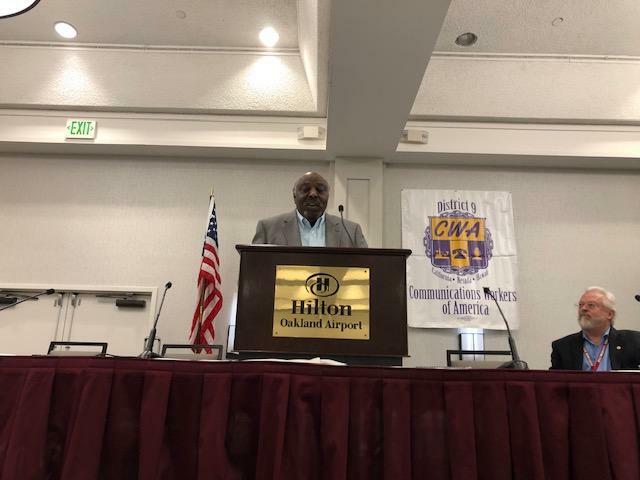 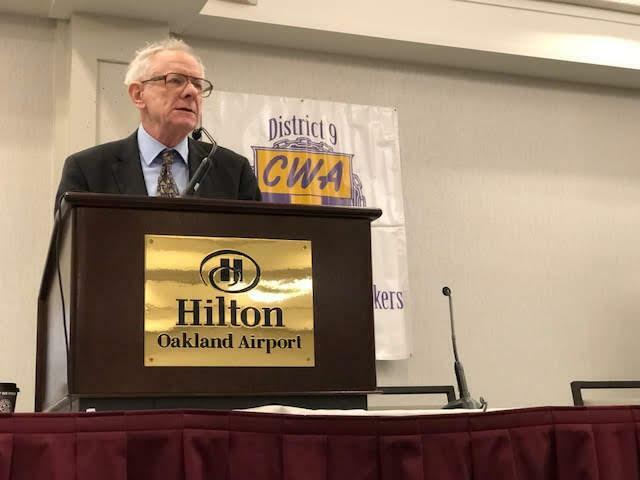 CWA Vice President, Brooks Sunkett, Vice President Public Works, CWA Healthcare & Education Workers. 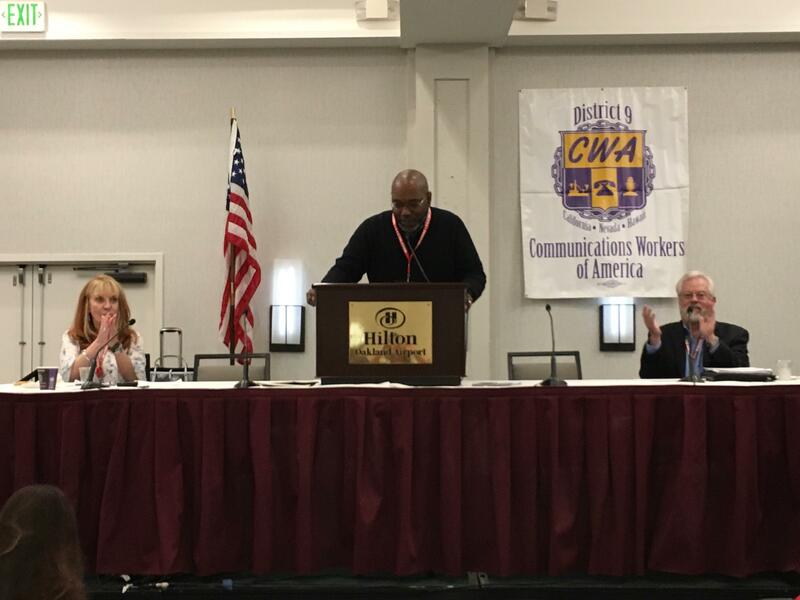 Keith Gibbs, President CWA Local 9412 introduces Liz Ortega Torro, Executive Secretary-Treasurer Alameda CLC. 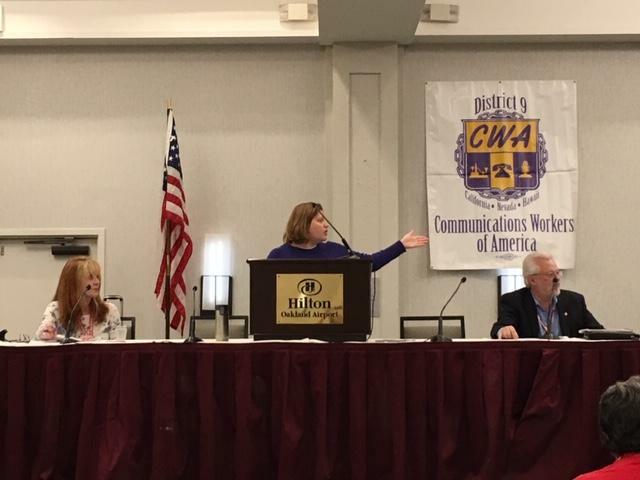 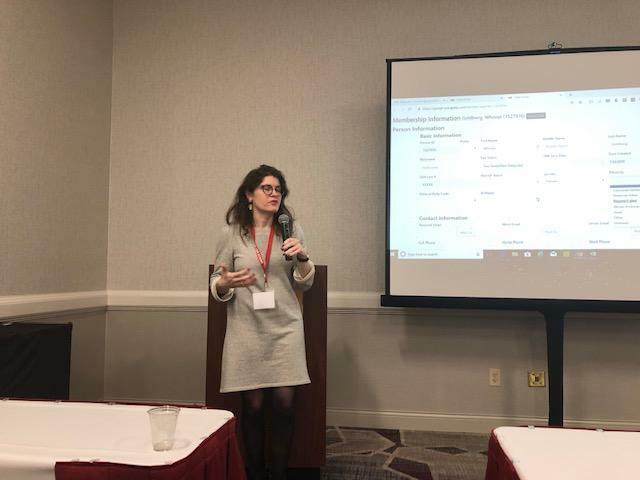 Anna Cooper, CWA Director of Data and Info Systems on “Managing Membership Records”. 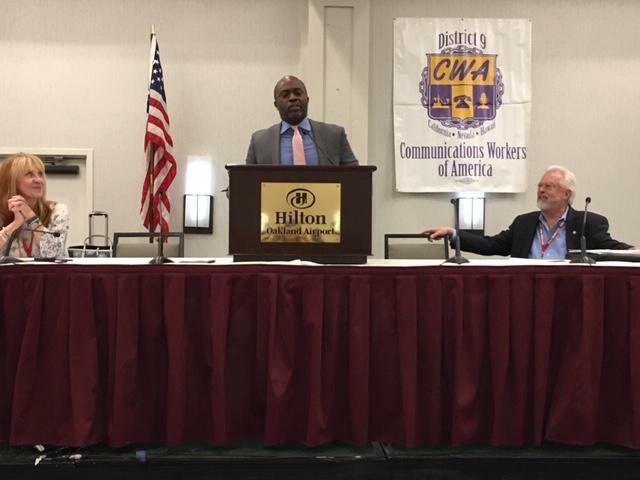 Tony Thurmond, California State Superintendent of Public Instruction. 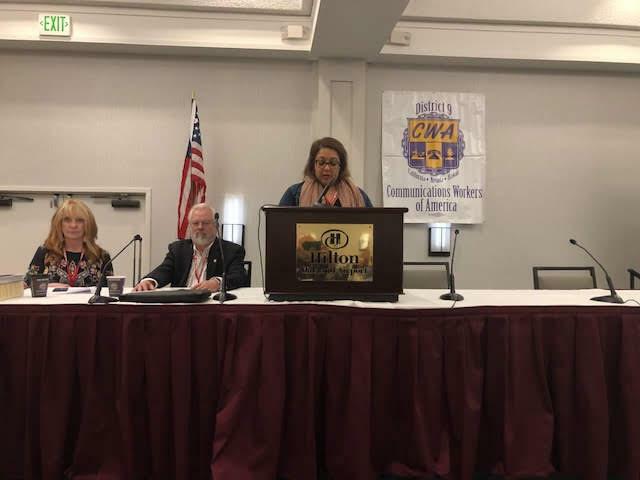 Hollie Chadwick, Lt. Henderson P.D. 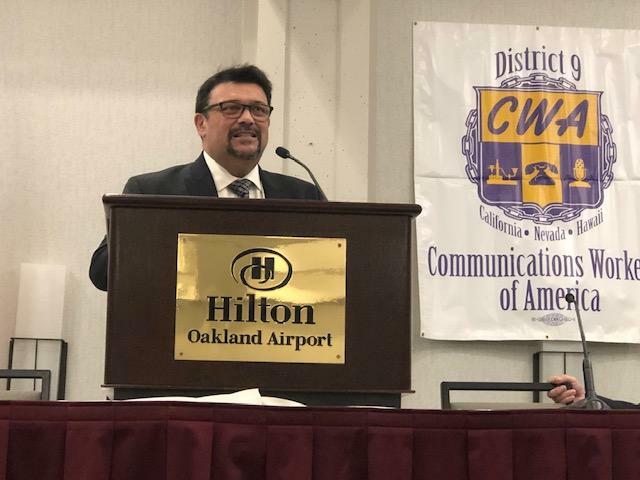 Frank Arce, CWA Western Region Executive Board Member at Large and CWA Local 9400 President giving CWA Western Region Executive Board remarks.